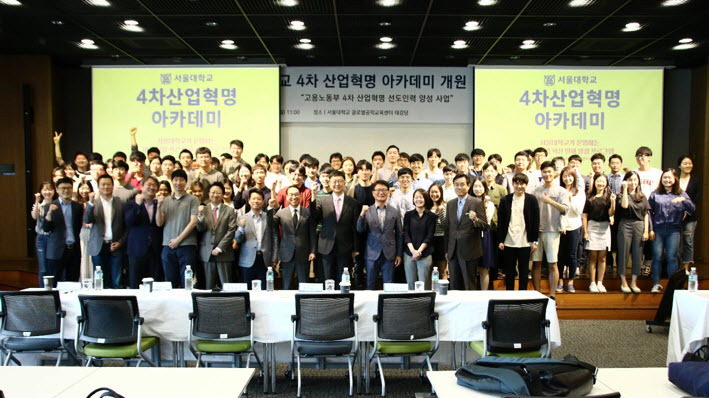 On April 16, the SNU Urban Data Science Laboratory announced plans to continue its Big Data Academy, a free education program for Seoul residents. In 2017, the SNU Big Data Institute and the Seoul Metropolitan Government paired up to establish the City Data Science Research Institute at Gaepo Digital Innovation Park in Gangnam-gu, Seoul. The laboratory specifically aims to lead data research and education efforts relating to urban issues such as transportation, environment, and city development. The 14-week education program consists of lectures and projects that focus on both theoretical and practical training. Managed and taught by SNU faculty members, the course curriculum covers a wide range of subjects including Marketing Research Methodology, Artificial Neural Networks and Natural Language Processing. The first course of this year, Python Programming, will begin on April 30. Open to all Seoul residents, the program begins accepting applications two weeks prior to each course. Approximately 50 to 70 participants are selected following an interview and examination process.